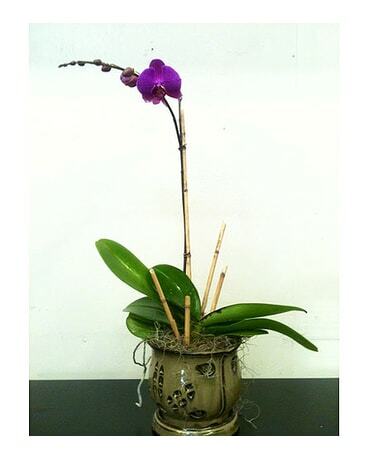 Single spike orchid plant in a glazed ceramic orchid pot. Dressed with moss and twigs for a unique gift. Choose white or purple in the special instructions section.